Make sure that the light you think you have is not actually darkness. Relate: I was reading through some reviews on Imdb and saw one for one show how one of the main characters was “courageously exploring” the fact that she was a lesbian. The reviewer said this was not the main thrust of the TV show but it was a subplot that she was glad they had included. “It is good to see such uplifting content.” I moved on to look for something else to watch. Or perhaps read. I always have a few different books I am working through, one I have recently started is The Great and Holy War by Philip Jenkins. I am less than a third of the way through but so far he is demonstrating how each country portrayed World War One as a titanic spiritual struggle against evil with their side representing good. This wasn’t just something spun up by each side’s propaganda machine but rather a belief that pervaded every level of society. Jenkins quotes one religious leader after another endorsing slaughter of the enemy “for God’s sake”. Some might have been lunatic or fringe cranks but others, both conservative and liberal were major figures I know and respect. Part of me really wishes he was overstating his case, but another part has seen first hand the insane amount of militaristic jingoism masquerading as religion on social media during more recent conflicts and events as well as at certain church services around Memorial Day or Independence Day. It is very easy to allow culture to dictate our morality rather than scripture. It is actually a very hard thing to guard against. Cultural influence is everywhere and it is consistently promoting darkness as light. The problem is, culture is constantly changing its opinions. As rock solid and all-pervasive as it seems today, fifty years from now it will just look silly. On the other hand, scripture does not change. God’s ordinances will be just as absolute. Where are we getting our light from? What are we allowing to influence the way we think and view the world? 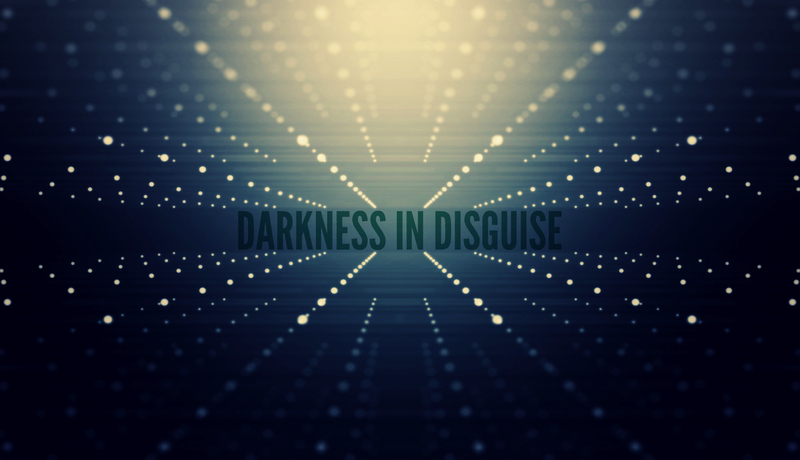 Are we focusing in on the truth of God’s Word or are our eyes constantly straying toward’s the world’s darkness in disguise? I confess that it is all too often oh so easy to buy into my cultures dictates for a definition of right and wrong. I even admit that I will sometimes catch myself trying to interpret scripture through my modern mindset and understanding rather than seeking out what was said in the context of when it was written. Be my vision. Be my understanding of what is truly good, what is truly light. Help my eyes to focus on You first and only. Let me see everything else through the lense of the Light that You provide. Interesting to read this after our church started a new series in Daniel today. The thrust of the first week was ‘thriving in Babylon’ – being in the world but not of it. Encouraging thoughtful, prayerful consideration of what we do and don’t do. This is divine irony. I have not read anything beyond what I have to for work in the last few months. Since I moved to a very different place and have been observing the culture here, I have been thinking these same things. It feels like being an outsider without a manual. This post was exactly what I needed to read at the precise moment I read it. Thanks as always for your approach to the Manual that never changes. As each new day dawns and each new hour unfolds within it , it seems that a ‘new’ evilappears On our screens, in our written media and the world around us. Those to whom we would have formerly looked for guidance, inspiration, correction or truth, are either bereft of any words or speak words which support the evils that we see. “To whom shall we go Lord; You have the message of eternal life.” You are the way the truth and the life! Thank you BJ for your timely words as this world system perishes around us. May God help us each to be truth bearers as long as we shall live on the earth. Notice: participation, not interpretation. Chaos is found in interpretation. Chaos is not good. It does not foster peace but rather conflict. Only order is good. Order is found in participation. Participation in this sense is an act of obedience to the eternal. It does foster peace. For all who do participate are on the same page. Natural law is determined in by the Law of First Principle. The truth of a thing is in its natural function. This gives it its purpose. A pencil’s function and purpose is to write. A can opener is to open a can. If we use either to perform the function of the other, we then are in violation of natural law and further are responsible for perversion in the failure to properly allow each thing to fulfill ITS purpose. This is true in all things. A great insightful telling of truth. Thank you so much! I hear the self serving applause of those who pursue evil daily. I’m thankful to be reminded that it will fail. The kingdom of God is advancing.